The masterful work of AJ Fossik is intriguing and mesmerising. Working from Philadelphia in the US, AJ has been creating 3 dimensional wood constructions for quite a few years now. 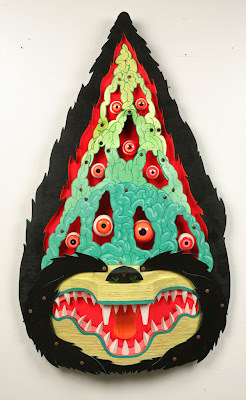 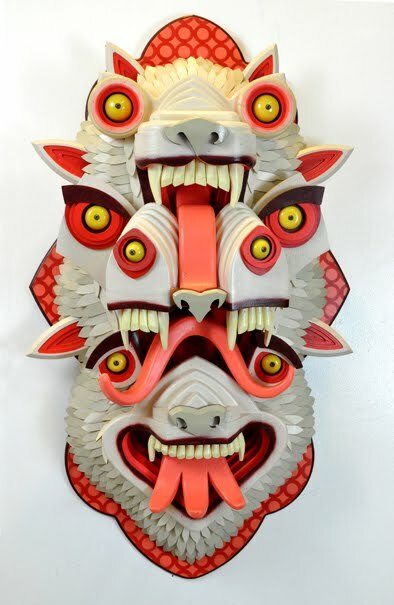 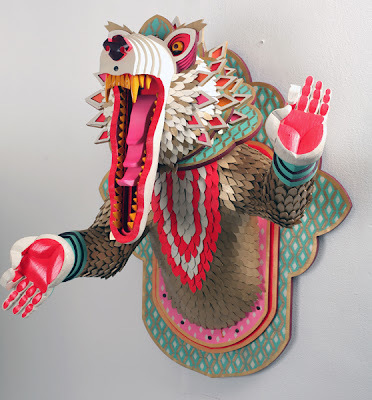 His work shows excellent craftsmanship, uniqueness and reminds one of totem-like characters out of old folk tales and night mares. 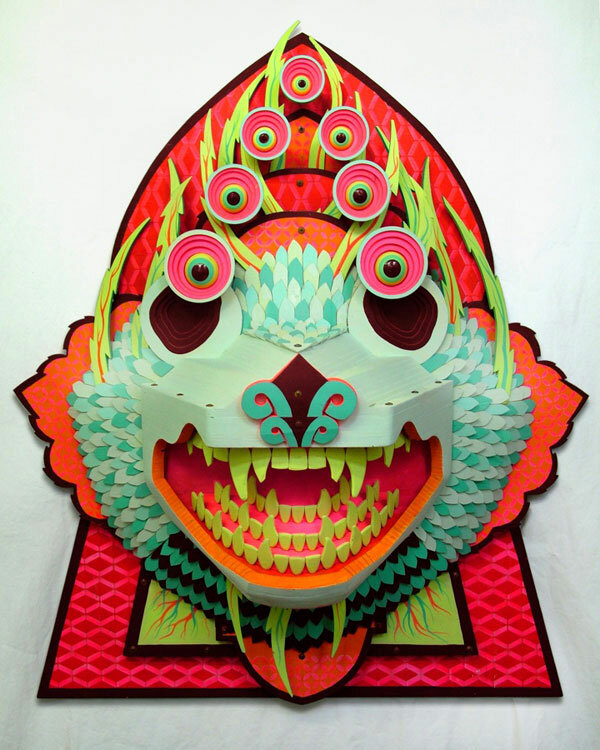 Yet, you cannot stop staring and investigating these strange and beautiful characters fiercely glaring at you. 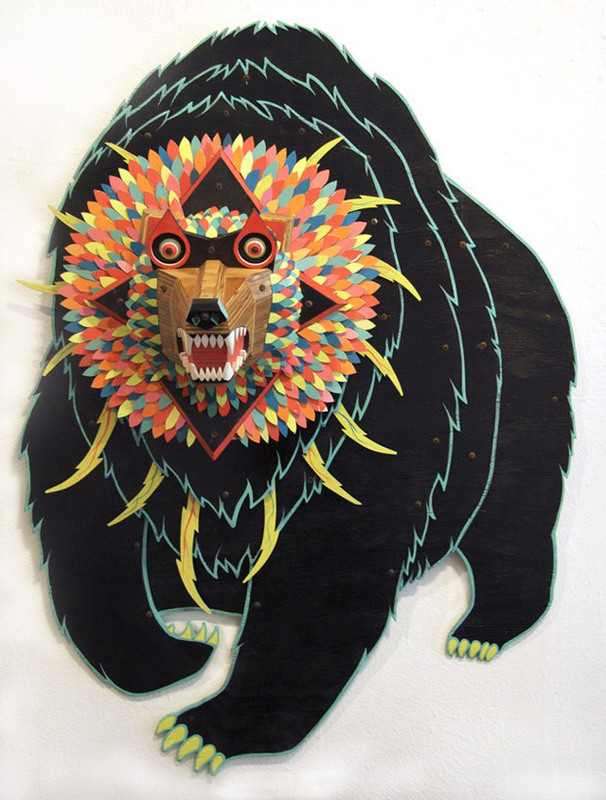 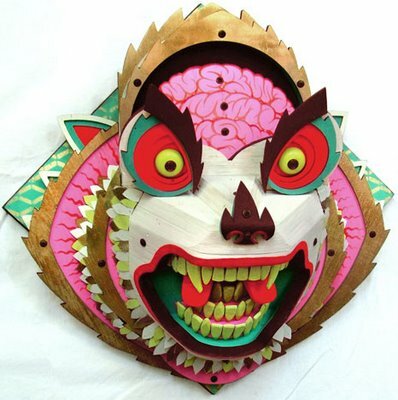 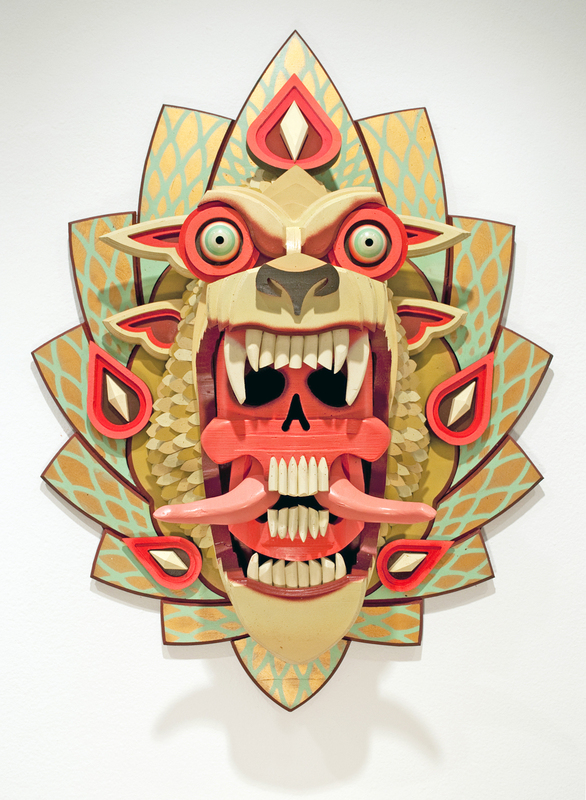 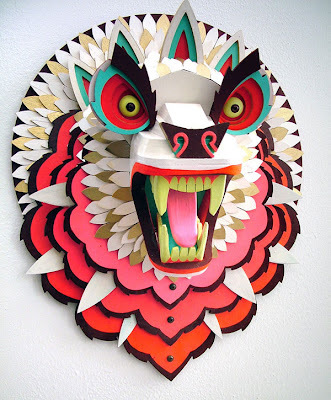 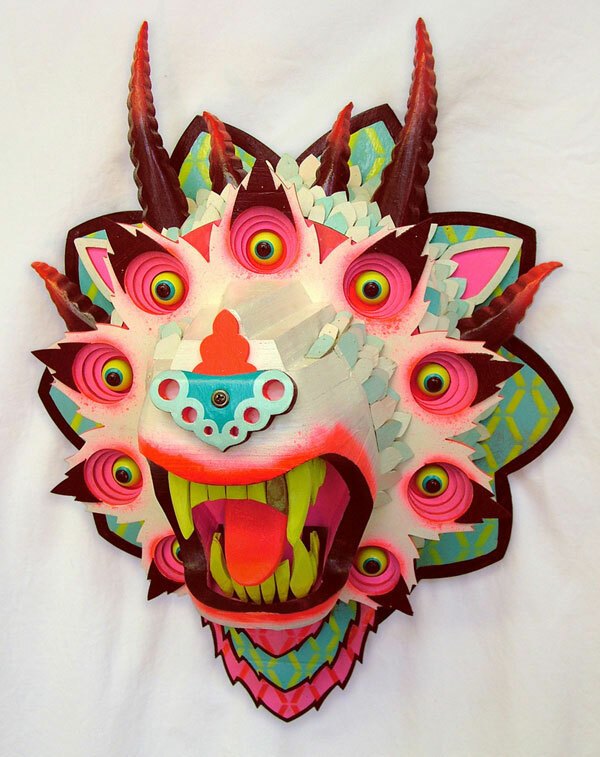 We love AJ's ferocious yet colourful wooden masks. 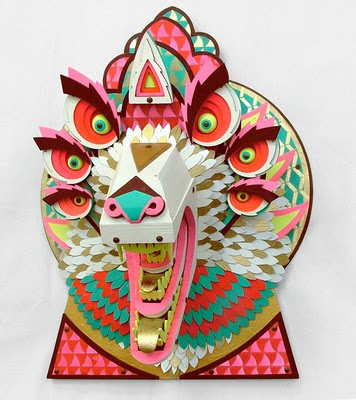 Below are some of our favourites. For more information on AJ Fossik and his work, go visit his website here.